Charles Dwayne Pierce, 53 of El Dorado, passed away on November 30, 2018, at National Park Medical Center in Hot Springs, Arkansas due to a lengthy illness. Dwayne was born on Dec. 7, 1964, to Charles E. Pierce and the late Lola Morgan-Pierce of Smackover. Dwayne was employed by El Dorado Mobile Homes for several years. He was also in the Arkansas Army National Guard for 8 years. 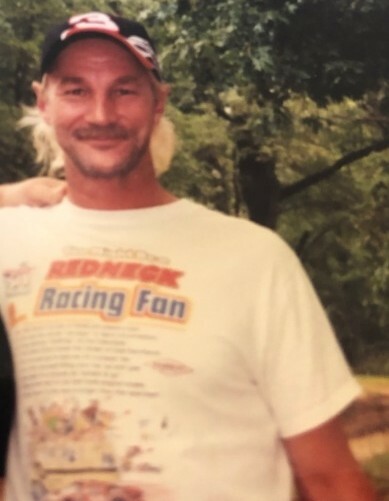 Dwayne loved being outdoors enjoying fishing and hunting, he also loved calling the Arkansas Razorbacks, watching NASCAR cheering on that #8 car to the finish line. He is survived by Charles and Geneva Pierce of Smacker, sister - Cindy Pierce-Upshaw of Smackover, Brother - Tommy Pierce (Emily) of Junction City, Louisiana, Son - Forest N. Pierce (Lori), two grandkids Amelia Belle and Audrey Grace Pierce of El Dorado, Niece - Leah Pierce-Faulkner of Smackover, Nephew - Ryan Strange of New Ulm, Minnesota, Nephew - Shawn Pierce (Tessa) of Leonard, Texas, and five great-nephews. There will be a celebration of Dwayne’s life on Dec. 8 at 12 p.m. in Louann, Arkansas at Louann Baptist Church, where he was a member.